I was watching 'Namastey London' today. It is one of my favorite Bollywood movies. This love story that launched Katrina Kaif into the limelight is an awesome tale of two incompatible people. But I'm not writing this to promote the movie, but there is a dialogue in the movie that tugged my heart. Akshay tells his father in law that you want everything from abroad, but when it comes to finding a partner for your child, then it has to be an Indian. This rings true in more ways than one. I have seen so many families settled abroad who come to India to find a girl for their sons. The poor girl would have no clue about their lifestyle there and will struggle to adjust later. But yet she is fascinated with the whole idea of being married to an NRI man. The concept of moving to a foreign land is the top one dream for every Indian. Everyone wants to go settle abroad and blend into the western lifestyle there. No matter how narrow minded their thoughts might be. Oflate my Facebook wall is filled with updates of people who are now settled in other countries. The women who did not step out of home without wearing a dupatta, are now suddenly dressed in frocks and skirts. Looking hideous and uncomfortable to the core. Just because you are now in a different country, doesn't mean that you change your sense of style just so that you can fit in. It is hilarious to see people dressed in multicolored scarfs and boots when the sun behind is shining bright. As if these clothes were not troubling enough, everyday you see atleast a thousand pictures uploaded into various albums. A hundred in front of the Statue Of Liberty, another hundred behind it and another hundred on the way to it. The fascination for the United States remain strong but we Indians are proud as long as we are out of India and in another country. No matter where, Facebook updates and fancy clothes will surely follow. Now let us get to the people who are not going anywhere. They make such a big deal about people who are travelling abroad. "Oh you know, XYZ is going to foreign. He is so lucky na". For all you know, that poor chap might be going there to try to make a decent living for his family back in India. There are so many people who fail to do good here and are called by few relatives to help them out in their business abroad. I know of so many students who take up odd jobs to survive abroad while their family back in India is boasting about sending their children abroad to study. I know a 100% pure brahmin, vegetarain family who speak non-stop about their son studying in "Yamerica". I also know that the same son is working at a butchers, cutting beef to earn some additional income. Living abroad is not as rosy as the Indians sitting in India think it is. The craze of going abroad is extremely high in corporate. I know people who leave everything they have here just so that they can go abroad for a year or two. I know of women who are new mothers and leave behind their infants who are less than a year old to achieve their dreams of going abroad. And husbands leave behind their wives and their family for the same. I find such people heartless and stupid. A few years ago I had a job where I was travelling abroad almost every month. I was away for months together and I did enjoy it at first. At that time I was going through a tough time and the travel was a much needed distraction. And then I met a guy and I fell in love. The minute we started a relationship, I did not want to leave him even for a day. I changed my project and stayed back in the country. It has been my best decision till date and the guy today is my husband and we are still so much in love and haven't been apart even for a day. Staying away from your loved ones, just to make some money is a concept I do not understand at all. I'd rather spend some good time with my husband and family instead of making ten times the money I am making now. I have had good chances of going abroad but my husband works in an Indian company and I do not want to leave him and go. Yes, he can quit his job or take a break and come with me for a while. But I do not want him to do it. I am not trying to be a compromising wife here, it is just that the thought of moving abroad doesn't excite me much. I'd rather stay around my folks and make sure that I am there for them whenever they need me. I've seen so many children who do not even come back to India when their parents have passed away. They say they did not get the tickets or that it was too expensive. It is a horrible thing and there is no way I would do something like that. This doesn't mean that I will never go abroad again. I'm a techie and I know that I can find a job anywhere. Else, I always have my writing to fall back on. If my husband gets a chance to go abroad for a while, then I will join him. But just for a short while. And I would not be changing my wardrobe or uploading a million photos on Facebook. No other country or city can ever beat Bangalore for me and I am sure that I want to spend the rest of my life here with my parents and the man I love. That is more important to me than anything else. The Indian obsession with foreign land will never change, no matter how many centuries pass by. 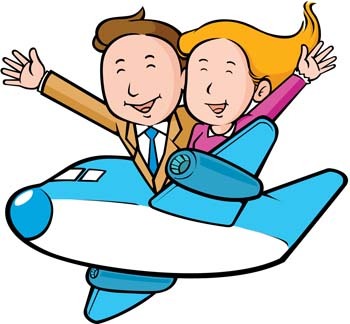 A person going abroad to work or a couple staying overseas are considered big people as they are on foreign land. Yes, just because they are on foreign land. They might be a plumber or a beggar there, but who cares? Well, I don't know whether to agree with you or disagree!! For the first 26 years of my life I lived in a small town under my parents roof. My exposure was literally zero. And then I got married and came to the Middle East with my husband and was introduced to a whole new world. Everything changed - from what I wore to what I ate to how I lived. Now it might have been the same had I moved to Delhi or Mumbai, I can't say now, but it did change. I love my life in Bahrain and probably would never want to move back to India. Our parents are as far from here as they would have been from Bangalore, so that's sorted. The salary is better, there are no taxes and we get a lot of time with each other. Yes, it might be very hard for some, but it is not the same for everyone. Having said that, I wouldn't want to move to U.S. or U.K. probably because of the reasons you just mentioned. You have stayed there forever and I'm sure the changes were gradual. As long as you both are together then it does not matter. That's a topic you so beautifully touched upon. The Indian obsession with everything "phoren" is just never ending. Be it the people who try to initiate conversations with any firang they spot on the street. So nice to read that in an age when mothers leave behind their kids to pursue their foreign dreams, you did not get distracted by the glitz and chose love over ambition. And lastly, even I was watching Namaste London today, its one movie I can watch n number of times! I agree, Soumya. Abroad is totally an eye candy for Indians. For holidays it's fine but settling there leaving everything and everyone behind is something I do not favor. I agree with you dear Simran. I completely agree with Nisha, cos when I was in India, I spent hours in traffic and shifts in IT companies, not having time to have fun. After I came to Muscat, now I have so much time with my family and such a relaxed life which is unimaginable for a working mother in India. I may come back to India, but I am never going to work in any IT MNCs anymore because I am done with that. I am still in IT here, writing away software codes and on consultation projects(which I enjoy doing), and the atmosphere is so relaxed that now this is my idea about life. That's so awesome Anita! I understand it is all about a better life and lifestyle. But leaving behind a partner or aging parents just to enjoy that does seem a bit selfish. It isn't selfish all the time Soumya. Some people who leave their partners behind, go abroad to support their families that includes aging parents and their health. It is impossible for a single bread winner with an extended family to cater to everyone's needs, and hence this is known as a SACRIFICE. Their jobs also does not support family VISA. They long to be with their families and kids, but debts and ever increasing expenses tie them down in foreign lands. This is a bitter reality, we should think twice before calling people 'selfish'. Treatments in India are so expensive, it is better to try to afford them than leave one's loved ones to die. There are people like us who do not miss anything that is required of us by our loved ones. We are there for every hospital appointments and every festivals or birthdays. And our parents love that we are here ! We are there for them much more than kids who are in the country but in different states than their parents ! I don't think you understood why I'm saying here. I'm not talking about the people in dire straits who need money by working abroad. I'm talking about those who go abroad just to have a good time and show off on facebook. And also the comforts you get here, laundry wala, maid, carwash guy, plumbers all in pawny prices. I guess people just want to enjoy that! My dad had to transfer to USA for 3 years and he ensured that his family travelled with him. The company made all the arrangements for us and we were with him for the entire time period. My mom got a part time job there and we too went to school. So it was like a home away from home with a perfect life one can live in. So it is clearly up to the person going abroad whether he/she takes his/her family or not because with the growth of HR departments in big companies they too care about the employer's family. But their is a growth in one selfishness too, so to escape all the responsibilities of family, people tend to go alone and never come back. And trust me Soumya when I say this, you do end up changing yourself as per the people and place around you. You might feel uncomfortable wearing jeans but you would feel thousand times that discomfort if you wear a saree (or salwaar kameez for that matter) in a place like USA. It is very normal and it is for the good only! I have my mom as an example. In India all she wore was suits and sarees saying 'log kya kahenge'. In USA she wore whatever she wanted and was happy about it! Now coming back to India, she has transformed herself and shed all her inhibitions. The trip to USA actually provided a boost to her self worth and self image. And as for me it was quite the opposite. I was in my early teens (12-15 years)while we were in USA so I can say that I sort of grew up in their culture. When I came back to India, I had to ditch my short skirts and tank tops and my accent because people here stare at you and bully you for being different. My thoughts and notions, I learned there had to be unlearned here. This is a nice article to read. Each of us will obviously have our perspective to things. I agree on certain points and disagree on certain points with you. Like Rupasi mentioned, it goes both ways. The way working at a butcher's shop or being a plumber is represented could be insulting to someone who earns a life from that profession. These are equally respectable jobs just like being a software engineer or business analyst or doctor or writer etc. I think a professionally sound plumber is better than an unprofessional software engineer. The status attached to every job in India is like the caste system. This is anyway leading to the financial gap in society and the way we treat each other. That could also be a probable reason for people moving abroad if they can. There could be zillions of reasons barring money. Having said that, I like to believe anyone with the slightest attachment with their birthplace will definitely miss it wherever they go. For that matter even within India, when someone has to move from one state to another for job. But we do make that choice. The halo attached to anyone going or living abroad, is analogous to someone moving from a small town or village to a metro / larger city within India. Of course, we need to tone down to levels where we can treat it as a casual event. That will definitely take some time. I agree! Job equality is some thing we should learn from these phoren lands!!! There maids, trash collectors, janitor, plumber, bus driver are as equivalent to a CEO of a big company. They get equal respect! No body goes on saying, like we in India do, that it is a despicable job. I know people who are 'big' in their careers yet volunteer for such jobs there. And in the end, like you said, that job is a bread winner for some one, so saying something against it, is definitely not good. I wrote the example of working a butcher's shop not because I think it is a menial job. But because the parents are purely vegetarian and tell people that their son is studying there all thanks to their money, while the truth is something else. I was bringing out the topic of showing off here. A plumber in the US gets paid more than a manager here. And I'm not saying another against here. If someone is working there as a butcher, why not tell the Indians the truth? Why hide? I for one am a person who treats all jobs equal as everyone is trying to make money for their family. My concern lies in the fact that why do people have to hide it? I agree with this post in many ways. There are always multiple aspects to every argument and a simple 'aye' or 'no' almost never works. I dont think the criticisms presented to this post are entirely fair. I have lived in suburban areas of Punjab And I've seen how going abroad or marrying an NRI is everything people want. Its epidemic! Im quite positive this post did not mean to foul people who go there to support their families, or deem some jobs beneath others. Not fair to say that. Honestly, i would love to go to a western country and live there for a good number of years. Im not too fond of India ;-) However, i have my conditions. I wouldnt leave my family and kids for going abroad. Ditto with me, never without my family!